In classic marketing textbooks there are what is known as the 5 P's - Product, Price, Promotion, Place and People (interesting a quick Google search shows up a number of variations - the 8 P's / the 7 P's and the 4 P's). These 5 P's are what I trained on in my early days of consumer marketing for large consumer product companies. When it comes to real estate marketing the P of Product and the P of Place merge to focus so much of the marketing on the property. The Product is the property and is the place where the property is experienced and bought and for this reason the presentation of the property is so critical. A large component of real estate transaction is driven by emotion and visualisation. For buyers, they want to be able to visualise living in the house, how the furniture will fit, how the car will fit and how the days in the future in this house will feel. 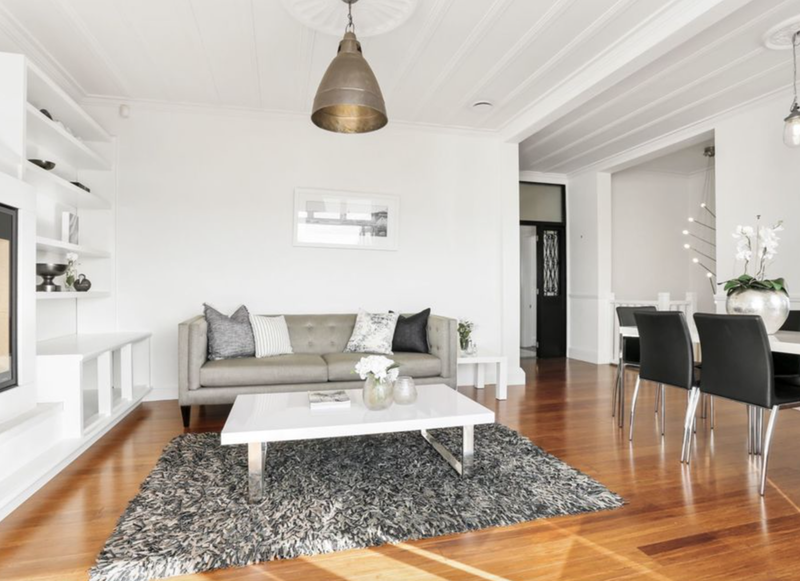 For these reasons it is so critical to present the property to the market in the best way, maximum impact, minimal distraction and this is where staging comes in. Staging a property is about creating a clean, uncluttered and spacious appearance. The fact is most of us live in cluttered houses that do not show off to best effect the house to other people and so having an expert, together with the right furniture stage a property is a great way to create that first impression. An alternative to staging is more of self service option which is to declutter. Hire a lock up and pack away a lot of the stuff that all houses collect over the years and pare back the stuff to create a light and spacious interior with just a few well chosen pieces of your own furniture.